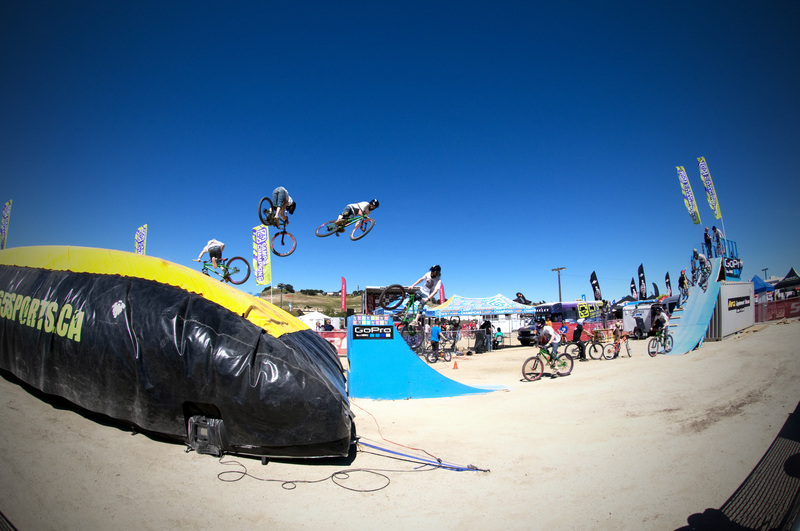 To say that the Sea Otter Classic is anything less than cycling nirvana is like saying “vegetarian” and “pizza” in the same sentence — it’s just wrong. 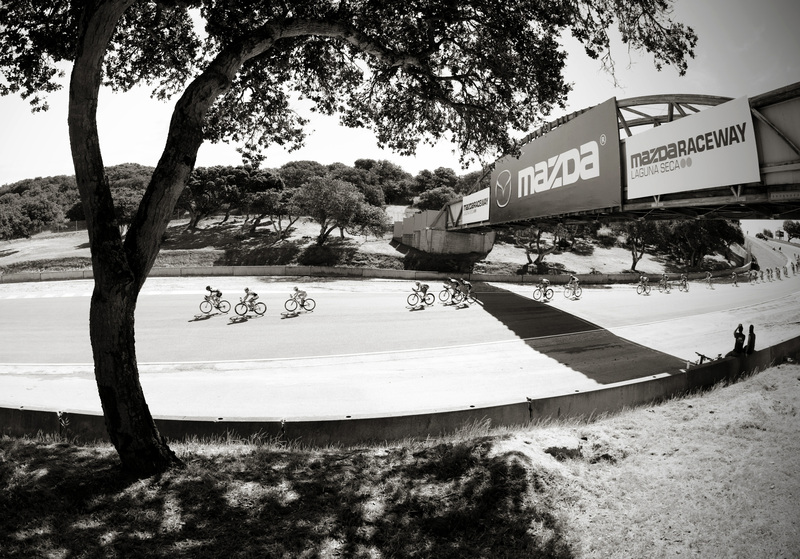 And so for a long-time rider finally able to make the pilgrimage to the annual Monterey, Calif. festival of cycling, Sea Otter is an overwhelming display of racing, gear and culture that exceeded the lofty expectations I held for it. Plus, as a fan of racing of the four-wheeled variety, getting to spend some time at Laguna Seca racetrack was a pretty sweet bonus as well. Met Ned Overend at a great IMBA movie screening. He’s very small. This is not surprising. Met Joe Breeze at the Breezer booth. He wears a calculator wrist watch. This is very surprising. A guy (comes in at :15 mark) running the bike blender met Tinker Juarez without knowing it was Tinker Juarez. This is impossible. The only person you could mistake Tinker Juarez for is a character from Avatar. 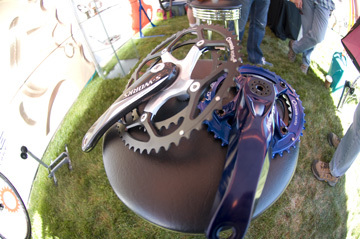 Ever been impressed by chainrings? Me neither. That is, until I visited the folks at Praxis Works, whose forged rings are both super techy and so, so pretty. I’ll take a set in orange, please. Storck bikes (full disclosure: Storck’s US distributor Velocon Sports is a client) makes framesets so light they need to weighted down so they don’t float away. If I were I time trialist, I’d sell my car (and promise a first-born) for the Aero 2. Not to be outdone, BH Bikes unveiled the Ultralight, which is — as you may suspect — ultralight. 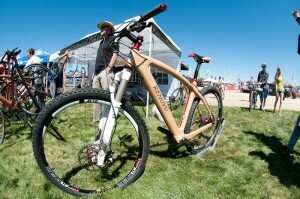 In fact, the bike on display was built to a staggering 10.5 lbs. The best part about the new BH though? The restraint of the designers to choose a flat black ninja-style paint job instead of graphic-ing the bike to within an inch of its life. Less is more, in every sense. 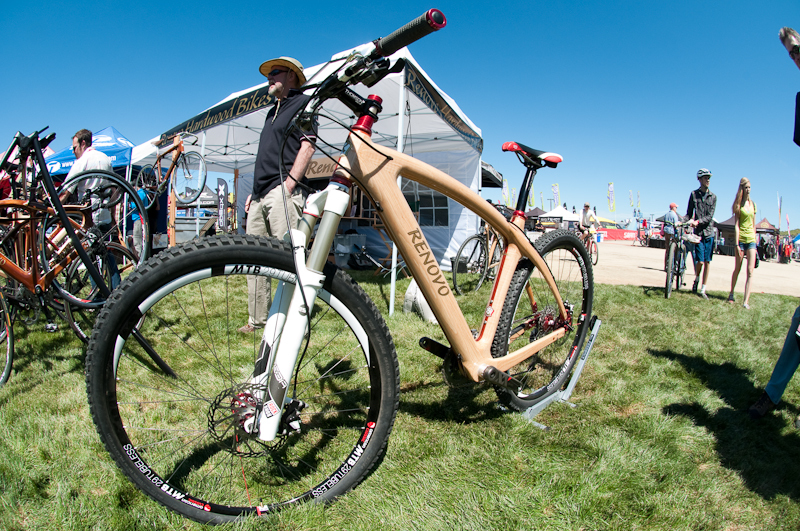 Renovo Bikes makes incredible road and mountain bikes out of wood. 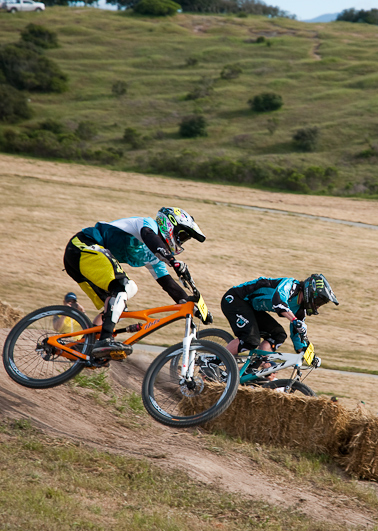 I knew when I showed up at Sea Otter that I wanted to check these out and I was not disappointed. I want one to ride and one to hang on the wall. Here’s a fun mental exercise: While watching a pro peloton leave the line, estimate how long you could hang on at their pace. 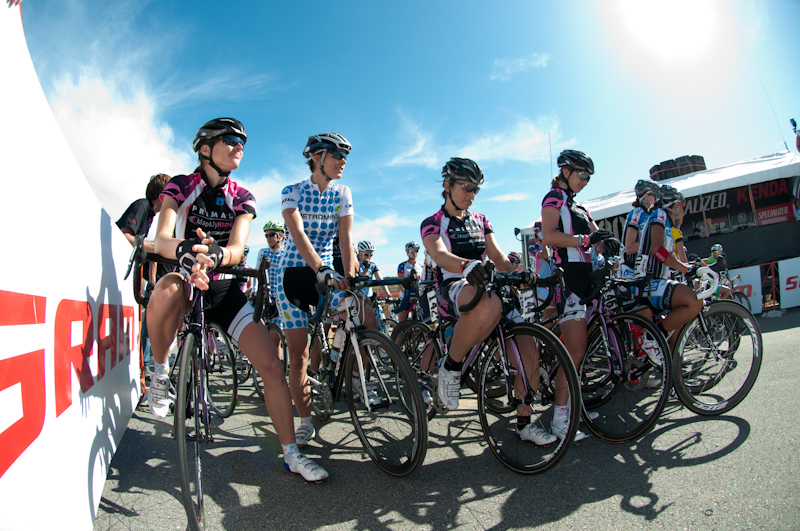 While watching the women’s circuit race at Laguna Seca on Sunday I estimated about a half-mile. That would get me to the base of the first climb before the field obliterated me and I stopped to heave on the side of the track. Chip gamely offered to launch himself down one ramp, up another and onto a giant airbag. There was only one condition: That I go first. Sadly, that deal would have violated my hard-and-fast rule to avoid embarrassing myself in public whenever possible, and weeping in fear as I approached a jump that 12 year olds were flying off with abandon definitely qualifies as embarrassing. A huge thank-you to the ladies of the Primal/MapMyRIDE Pro Women’s Team Powered by BH Bikes for hosting a great happy hour on Friday and group ride Saturday (maybe do that in the reverse order next year). It was great to chat with you all and watch you put in great racing performances all week. It was almost enough to inspire me to get serious about road cycling. Almost. Yeah, I’m afraid of heights but was jealous of the good times those 12yo bravehearts were having on the Big Air Bag! Didn’t meet Joe Breeze but did meet his sales/mktg mgr. What a great guy, so genuine and helpful to everyone.